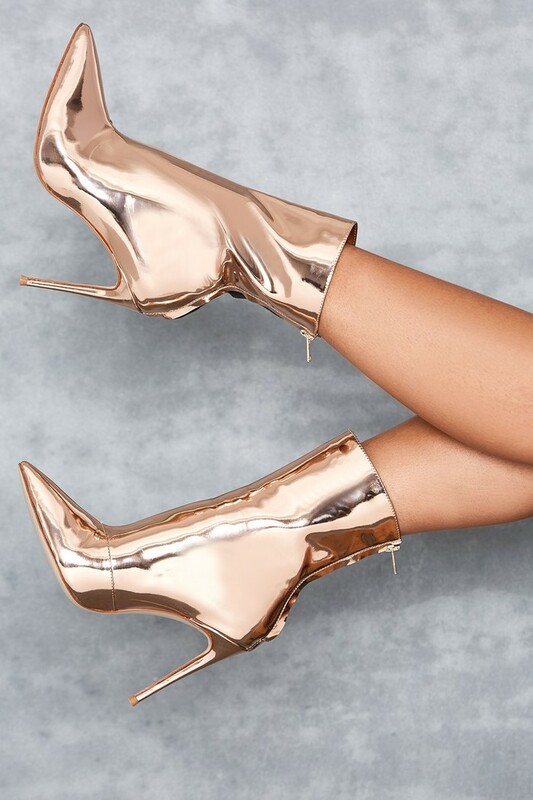 These boots are made for werking. 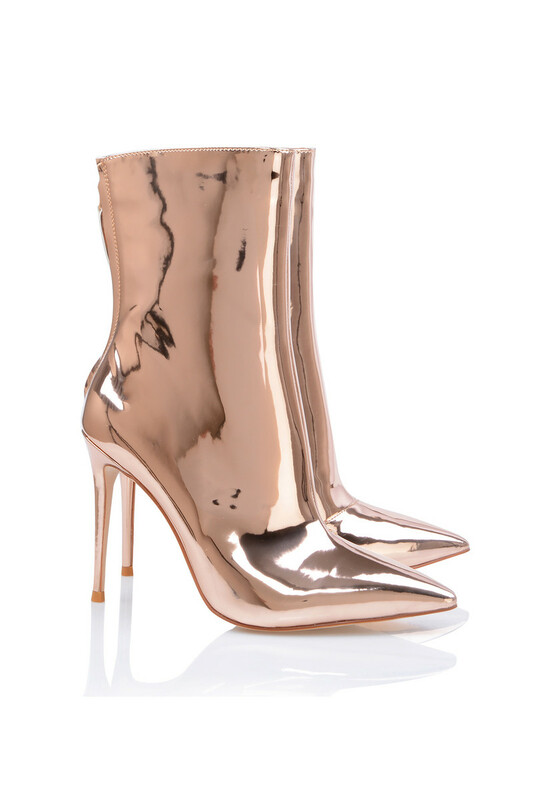 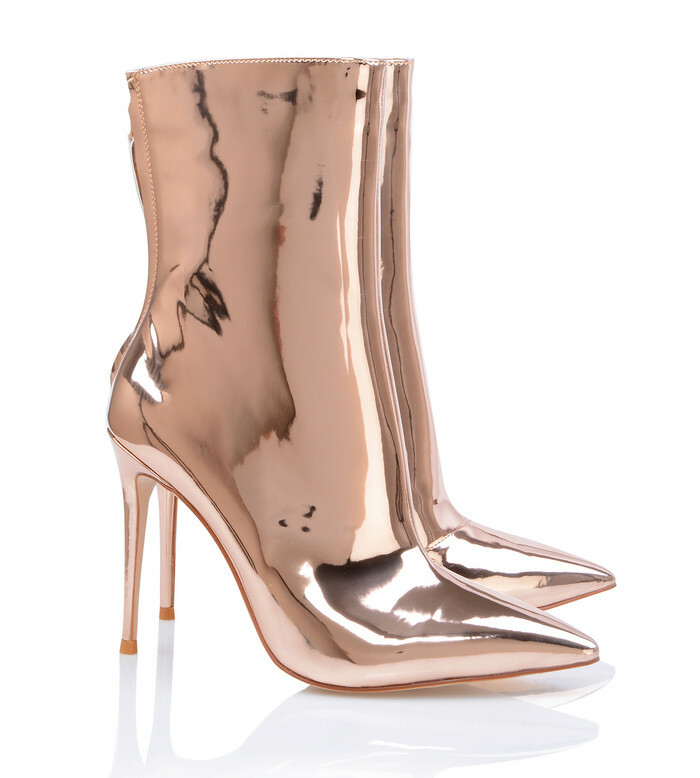 Our fly as f@@k 'Mercury' boots are crafted from an incredible mirror shine rose gold fabric. 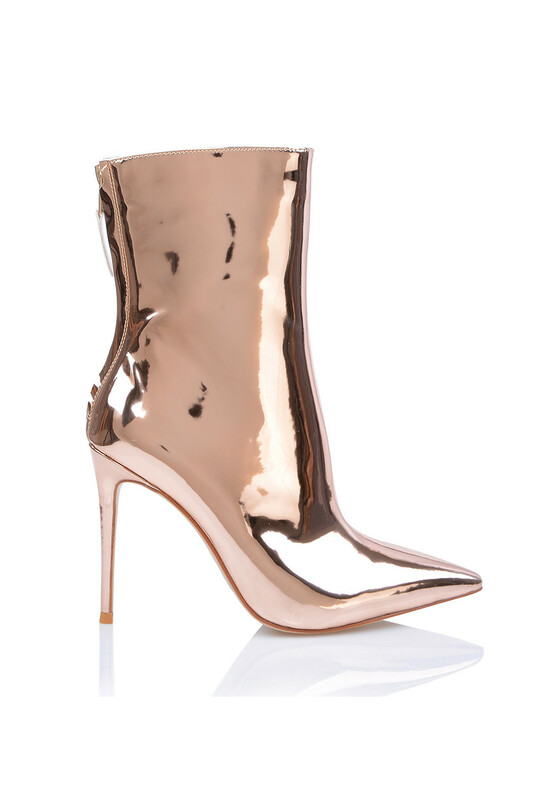 Sharp lines and a razor stiletto finish the look. 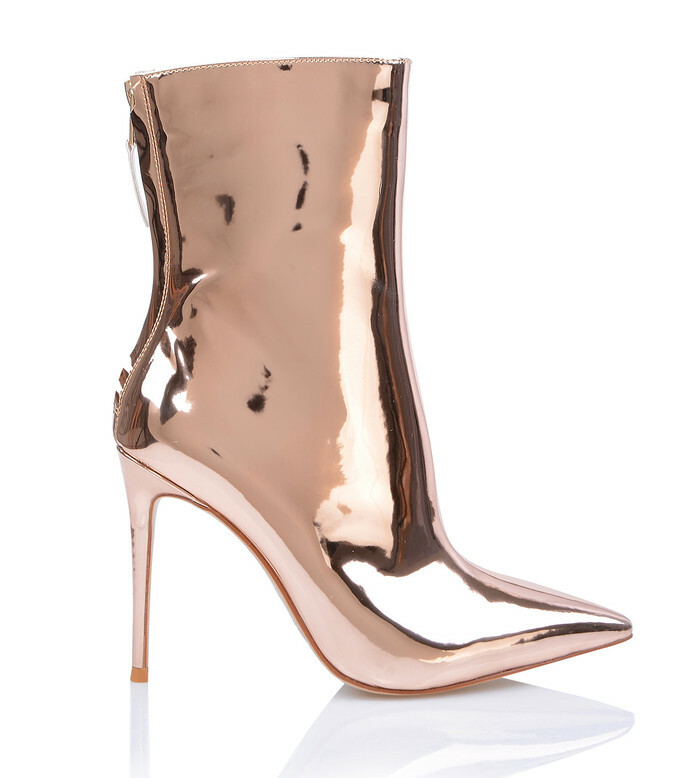 We adore these centre-of-attention boots with absolutely everything.